1) Pay attention to all your characters and love your villain. Don’t relegate the secondary characters in your story to props. This was from keynote speech by Gennifer Choldenko, author of Al Capone Does My Shirts. From an illustrator perspective this means give the secondary characters just as much detail and expression as the main character. 2) Every tweet is in the Library of Congress. Whoa, what? This was from a session on social networking and building your brand with literary agent, Lauren MacLeod. What does it have to do with an illustration career? It means what you tweet could literally last longer than what you say or write anywhere else. Just something to keep in mind as we network online. 3) From Workman publishing director Daniel Nayeri’s session on “How To Make Interesting Art” I wrote down “nearly everything is art but not everything is interesting.” Nayeri urged artists to determine for themselves what the conversation of our age is (consumerism? sensationalism? meta-theism?) and have our art inform one side or the other of the conversation. This session was intense, almost like a college art and philosophy class. Now that I’ve had a week to mull over my notes I believe this goes back to the concept of ‘voice’ in art. Is for own voice shaped enough so that your art looks like no one else’s? 4) On Sunday I attended a panel with agent Rosemary Stimola, author illustrator Amanda Driscoll, and editor Kelly Delaney of Random House where they discussed the spark and creation of Driscoll’s debut picture book Duncan the Story Dragon. While little of the text changed from acquisition through edits, Delaney urged Driscoll to push Duncan’s character through some extreme changes. Duncan started as a more “traditional” looking dragon but evolved into a more childlike character, which resonated with the story better. In a study in editorial revision, almost every page of the original dummy was changed dramatically… but for the better. Another thing I noted from this panel was that one of reasons Stimola was initially drawn to the story in order to offer representation was that she appreciated the real world solution to the problem even though the characters were magical creatures. 5) My last session was with Simon and Schuster art director Lucy Cummins who discussed “How To Get Work, Agented Or Not.” The number one thing she looks for in illustration submissions are memorable characters. Postcards are still a great way to get the attention of an art director, and they don’t get as many as some illustrators might think. Cummins mentioned that she is always looking to add to her to go-to stable of artists who are excellent draftsmen – they can draw anything. And, it bears repeating, they never miss a deadline. Read more about other sessions panels at the conference blog. Publishers Weekly also covered the conference for Children’s Bookshelf. Check it out here. 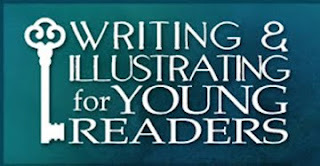 Mary Reaves Uhles has created award winning illustrations in books and magazines for clients such as Cricket Magazine Group, McGraw Hill, Magic Wagon, and Thomas Nelson. Before beginning her career as a freelance illustrator, Mary worked as an animator on projects for Warner Brothers and Fisher-Price Interactive. A PAL member of the Society of Children's Book Writers and Illustrators, Mary calls Nashville home and spends her free time behind the wheel of the family mini van. Like many of us at the start of a year, I always take stock of the year before and the year to come. And like most professional artists part of that evaluation is examining how and where we presented our work. One of the best ways I’ve found to connect my work with potential clients is at conferences. As a member of the Society of Children’s Book Writers and Illustrators I’ve attended SCBWI conferences for many years and can’t speak highly enough of them. However for a few years I’d been hearing about a conference called Rutgers One on One Plus. It’s put on by the Rutgers Council on Children’s Literature and it is what it says – one on one time with a professional from the publishing field. Rutgers attendees wait to find out who their mentors are. The conference is held on the Rutgers New Brunswick campus in New Jersey and attendees must apply with their work to be accepted. It’s only a day long but they pack a lot into that day. In the morning mentors and mentees are paired up and then grouped together into 5 on 5 sessions . These are groups of 5 attendees and 5 mentors in a round table discussion. Mentees have the chance to ask questions of and present work to any of the editors or art directors at their table. Equally important, the industry professionals are seated at the same tables for lunch and attendees are encouraged to find art directors or editors they are not paired with and network, network, network. After lunch each mentor/mentee pair is given 45 minutes together. During this time the mentor reviews the materials submitted and the attendee has a chance to ask questions and pitch other projects. Each attendee is given submission information about every mentor for after the conference. At less than $200 to attend, I found this conference to be a significant value. The submission process starts in the spring. There’s about 70 editors, agents, and art directors who agree to be mentors (with a handful of authors and illustrators agreeing as well) and only one attendee for each mentor. Visit the Rutgers Council On Children’s Literature to get submission information. I posted about my personal experience on my own blog here. Be aware that if your work is chosen it’s highly recommended to research every mentor prior to the conference. This is a hugely valuable but VERY time consuming process. It’s valuable because it makes it very easy to start up a conversation in the sandwich line. However having crammed it all into the 6 weeks between being accepted and attending the conference I highly recommend starting the research process soon after submission closes and Rutgers posts the list of mentors. Then you’ll want to recheck the list a few times as the names sometimes change. At the end of the day Rutgers is an easy train ride from Newark Airport or New York City. Taxis and hotels were very reasonable and you can usually hook up with other attendees before or after to share notes. In the spirit of the continuing theme this week of recovering old files lost, I’d like to present a great site that can potentially help you recover a website you are looking for that in no longer in it’s old spot. I found this resource when I was taking a course on web design a few years ago and it has proven a great resource time and time again. The WayBack Machine! It’s basically an Internet library that attempts to catalog and archive websites so that you can find a website that may have been up 10 years ago and no longer is. In no way is there process complete. Obviously the idea of archiving every site on the internet complete with links, images, and documents is a ridiculously large one. So it stands to reason that not every site is archived, nor is every image or file. But it’s still a great place to go and look if all else fails. So how does it work? Follow the link to the homepage. Enter the name of the website you’d like to find and “Go Wayback”! The results you get will hopefully look like above. A top bar that lists years from ’96 to current will appear as well as a calendar. The top bar shows the archiving activity for the years that the site being searched was archived. As you can see in the above example, onceuponasketch.com was first archived in 2011. You can select any year that the site has archived information for in that top bar. Once you do you will note that there are blue circles around select days within the calendar. These blue circled dates correlate to when the site was archived by the Wayback Machine. So if we had an article on our site on March 2nd that we took down or edited on March 6th you should be able to still find the old version of the article on March 2nd. So please add this site to your resources and use it as you have need! It doesn’t always catch everything but it’s usually my first stop when trying to find an old site, image or article that is no longer available. Enjoy! While we love that our readers listen to and enjoy our podcasts, in no way shape or form are we the only game in town. There are many other groups of Illustrators who make it a point to share their experiences and information with their peers. One such podcast is DrawnToday. I want to initiate you into this podcast by tying it to another post of ours. I recently posted a brochure called “How to Commission an Illustration” by Randy Gallegos. The DrawnToday podcast that I highlight features Randy and other Illustrators at the Illuxcon convention as they brainstorm with audience members and industry professionals on ideas of how to improve our experience as artists within the industry. They brainstorm on ways to hold publishers accountable in their practices and prices that have changed very little in the past ten plus years. This episode of the DrawnToday Podcast features Mike Sass and Aaron Miller along with illustrators such as Jim Pavelec and Todd Lockwood during a panel discussion at this year’s Illuxcon symposium. In a discussion that has a direct bearing on each and every working illustrator and illustration student, the panel member’s discuss payment rates, online client review ideas and plan to create an online resource for uniting illustrators to help increase reasonable working rates and to create the best possible product for clients. Go to the Webpage here! artwork copyright Wilson Williams, Jr.
We are happy to announce that a great resource has relaunched and we are happy to count ourselves among the listings! Illosaurus is a site run by the same folks who oversee Little Chimp Society. It’s a directory for Illustrators of websites that are helpful and considered great resources for the field of Illustration. It includes a searchable database as well as curation to make sure that not just any site can be added to its listings. It’s in the beginnings of it’s rebirth and they could use all the input our community can provide. If you know of any sites in particular that you feel are good resources for Illustrators make a point to go and submit it to them for inclusion. Now go feed the Illosaur! 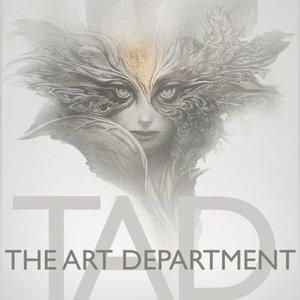 TAD is the next-generation model for art education. The first ever, career-driven, virtual and real world art and entertainment development college for both digital and traditional media, designed and delivered by today’s top industry professionals. The superior alternative to traditional art school, where you control your educational experience by choosing the program style that best suits your lifestyle. Study exclusively online with the VIRTUAL style program, or learn online in conjunction with attending the in-person workshops held twice a year by choosing the HYBRID option, or elect for TADs exclusive, ENHANCED HYBRID program style, fusing online classes and biannual workshops, with a fully-immersive in-studio experience at one of our state-of-the-art studio locations. The Art Department is honored to announce the brilliant leaders from Pixar, Disney, ILM, and Laika who will be sharing their knowledge with students in our online animation program, starting August 27. A friend to the blog and consistent contributor of wisdom and teaching to the community, Will Terry, is in the process of raising funds for a new e-book project called, “I Hate Reading!!!”. A Children’s App and E-Book. There are only four days (Tuesday Jul 10, 12:34am EDT) left for him to reach his goal of $5,240.00. We want to help him in any way we can by drawing attention to his project and in the process educate you about the means that he is using to raise funds. Which could be helpful for any of you self publishers out there strapped for the cash to complete your artistic projects. He is raising funds via the website Kickstarter. Not familiar with it? You definitely should be. Kickstarter is a site that allows individuals to post potential creative based projects and raise funds from the public for their completion. For most projects there are multiple individual target contribution amounts. Each amount comes with a different award for sponsoring. The higher your contribution, the larger the prize you can receive for donating. Many self published writer/artist teams are using Kickstarter as a means to generate the revenue needed to fund their self publishing efforts. They even have a section specifically for Children’s Books projects as well as Comics. Sound too good to be true, well it is. You see the catch is that if the set financial goal isn’t reached in the set amount of time, the project isn’t funded at all. Any money pledged by a contributor stays with them and is never transferred to the originator of the project. Yikes. Kickstarter is also only for Creative endeavors and not used for general fundraising or non profit organizational purposes. There are similar sites set up that have a comparable format. Like IndieGoGo. With some of them the artist or originator can keep what is pledged whether it reaches their goal or not. Sounds too good to be true? Heh! It is!! If the originator chooses this, then the cut taken by the site is much larger than it would have been had they met their goal. So take your chances and hedge your bets. But enough education, back to Will. If you go by his site or blog you will find that he has created multiple educational videos about his technique and process. He is an artist and an educator who goes out of his way to share his experiences and the knowledge he has gained with the Children’s Book Community. Don’t believe me, just take a stroll through any number of the posts on his blog. I guarantee you will come away richer for having done so. I have personally bough a few of his teaching series of videos which are also well worth the investment! He is always giving to the community, so I find it more than appropriate for us to help him see one of his projects to fruition. Be sure to drop by his Kickstarter page and donate what you can. The lowest contribution you can make is $1.00. Every little bit helps! (But I say go for one of the bigger contributions and get the pdf and app in the process!! Thanks so much for your help folks! Part of our goal here at OnceUponASketch is to provide resources for up and coming Illustrators in the Children’s Market. We want to provide answers for some of the more common questions we sought answers to at the beginning of our careers. One of those questions was about investing in Pay Portfolio sites like The I-Spot, Picture Book, ChildrensIllustrators.com, etc. With everything changing in the Children’s Market with advances in technology and e-books, we had to wonder how effective some of these marketing strategies have continued to be. Plus the sheer volume of these sites always casts doubt as to whether you would get lost in a sea of Illustrators not able to be found amongst your peers. So we got the idea to review each of these sites and survey the users to rate their effectiveness and value. We will review each site one by one in the upcoming months. Review their cost, features, ease of use, customer care, customer satisfaction, etc. Right now we are in the process of gathering that information to present to the public. If you have used a site of this nature recently and would like to participate, please let us know by Email or reply below. Thanks for your help!